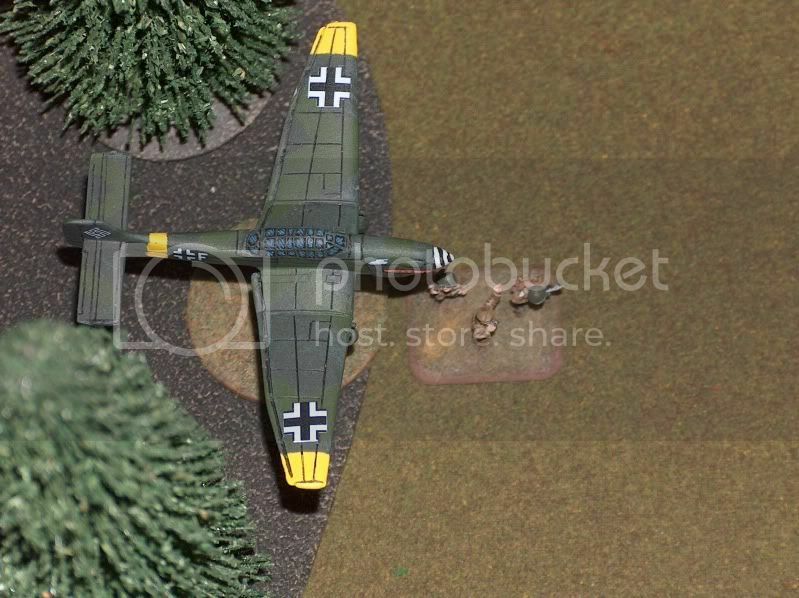 Kages Flames of War: Aircraft & Cover - Can Phil be Wrong? I thought the tree models themselves were more of an abstract representation, and the base the trees sat on represented the actual tree line. Simplicity and ascetics. 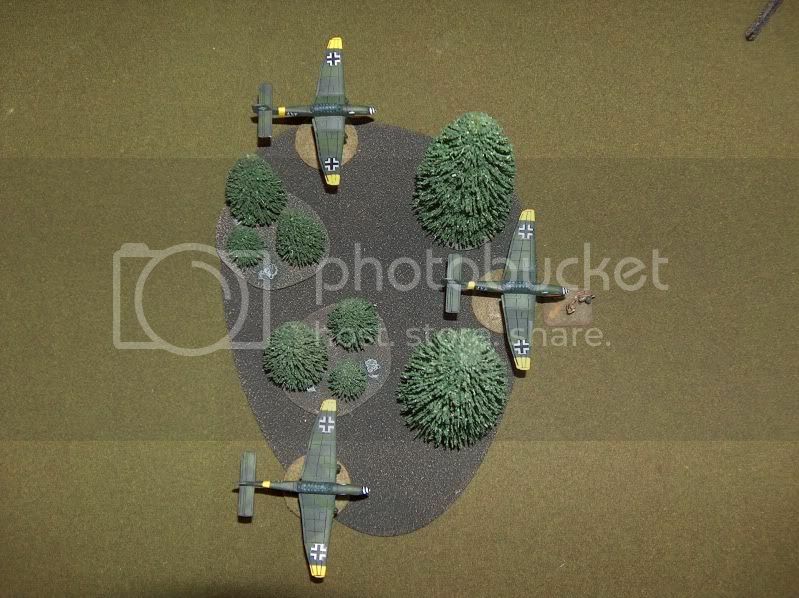 If that were the case, you should be able to move the tree models to fill the space that the plane squeezed into, as it shouldn't matter where on the base you set your tree models as long as they are within the tree line. Therefore I support Camp B for its simplicity. The heart of the issue lies in the actual rule, which you quote directly. There is no point of reference made to either the "aircraft" or the "table edge of entry". Lacking anything specific, one has to fill in the blanks. And as you have stated, "reality" and "game play" are not the same in Flames of War. My own personal experience with planes has been that the location of my ground teams are by far the most important piece of determining where I place my aircraft. If I do not have ground teams anywhere near the target, I would place my aircraft 180 degrees opposite of your example. If my team is within 16", then I would move them to the same side as you have in the example and as close as possible without having the 16". I don't think that is really a cop out. In V3, I am all for Camp B. I also like the idea of a special rule for a dive bomber like the Stuka. I would just like to see a clear rule and not one that is ambiguous. Yes, rockets and machine guns at 90 degrees sounds crazy. I agree. But I also agree that a front armor hit when I can only see the rear is just as crazy, if not more so. Keep up the great examples. You are much more articulate than you give yourself credit! I am with Camp B.